B-Red who spends a chunk of his time during each year in Atlanta Ga, hooked up with superstar Akon to cook up a strong HIT record titled Cucumber. As you know, B-Red who has consistently delivered good singles over the past year, but he has outdone himself with Cucumber. If this single is well promoted on ground, it will definitely be one of the HOT songs in Lagos for the 4th quarter. 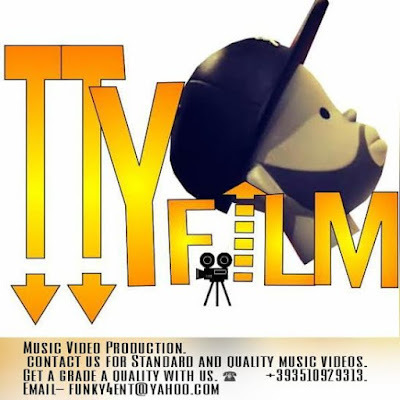 Contact us for Standard and quality music video Production . Affordable price . M. Ghiotti(VidoeDirector) CINEMA, MTV Standard .... Quality Pictures. Call +393510929313 | email 》funky4ent@yahoo.com. “​Afro-pop music star Lace releases the remix of his street-hop hit“Aiye Mami” which was released last year. Beautiful Ghanaian songstress, MzVee follows up her recent release “Abofra (featuring Efya)” with a new video titled “Hold Me Now“. “Breaking into the Afrobeat genre is BabaO with his debut hit single – D’Yaan Mo which means ‘Recognize’ in Yoruba Language. The Kings Entertainment artist is already making waves with this song. BabaO is believed to be the new face of Afrobeat and his smashing debut single is nothing sort of that bring us to this new era. Feel the great hit from this young talent.Twitter – @babao234. United Kingdom based Ghanaian musical sensation Eugy teams up with Davido to drop this massive tune titled – ‘Chance‘, produced by Team Salut. “After releasing his first single, Pluto (Plu) has partnered with the Prince of Lagos himself #Bils on this crazy follow-up single “Runz Girl” Prod. by Eurostarz & mixed by JayMohProductions. Highly rated impending singer, Tulex has released his maiden single titled Mujojo. It is indeed an appealing sound for celebration, thanksgiving and a song of victory.